While you may enjoy the vitamin C-packed nutrients found in grapefruits, eating grapefruit with certain medications can negatively impact your health. One example is the medication Cialis, generic name tadalafil, which is prescribed to treat erectile dysfunction. If you are currently taking this medication and wish to consume grapefruits or grapefruit juice, talk to your physician first. Grapefruit contains certain enzymes that interact with an enzyme in your intestine and liver known as CYP 3A4. This enzyme is responsible for breaking down certain medications, like Cialis, in your body. When you eat a grapefruit, the grapefruit can reduce the amount of CYP 3A4 in your intestines by as much as 47 percent. When you typically take Cialis, the CYP 3A4 in your body starts to break down the medication, releasing it at an expected rate and helping it to work on your body's systems. However, if you have eaten grapefruits, you have less of this enzyme in your body, which means Cialis stays in your body longer. Some people tend to have more CYP 3A4 in their bodies than others, which means grapefruit's effects on Cialis can vary. Cialis is a medication that tends to rank low in terms of bioavailability. Bioavailability is a term that refers to how much medication the body absorbs. For example, if you take a vitamin that has 100 g of calcium, you're your body may absorb only half this amount. Because Cialis is not absorbed as much as other medications, the medication may be administered at a higher dose. This is problematic when you eat a grapefruit because Cialis' bioavailability increases, meaning more circulates in your bloodstream. Even if you do not take Cialis regularly, grapefruit can have harmful effects. This is because even 8 oz. of grapefruit juice can stay in your digestive system for 72 hours. 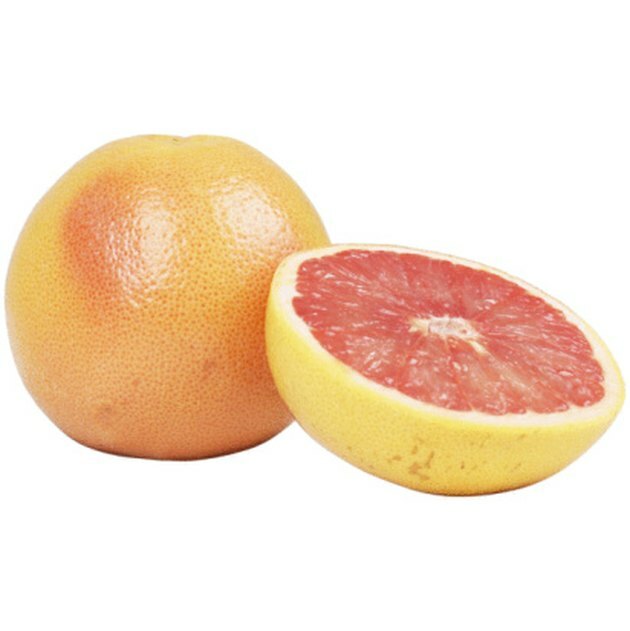 If you drank a glass of grapefruit juice three days before and take Cialis, it is possible you could experience side effects related to grapefruit consumption. Therefore, if you know you may be taking the medication in the near future, it's best to avoid grapefruit products entirely. Common side effects associated with Cialis include redness, cold-like symptoms, headaches, memory problems or muscle pain. Eating grapefruit while taking Cialis can heighten these effects. In some instances, you can experience more serious side effects like changes in vision, irregular heartbeat, shortness of breath or fainting. If you have these symptoms, seek immediate medical attention and inform your physician if you have recently consumed grapefruit. Can I Eat Grapefruit While Taking Cozaar?